To coincide with the release of Affinity 1.5, the picture editing app becomes available to buy on Windows. It's a good day for Windows users as Affinity Photo has finally been released for them to buy. 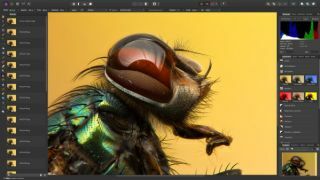 Following last month's beta launch of Affinity Photo for Windows, the professional picture editing software has been finalised and boasts a huge update for Mac users, too. Today's Windows launch also coincides with the release of Affinity 1.5, an upgrade which represents the single biggest step forwards for the app since it was launched over a year ago. At the heart of Affinity Photo 1.5 is a focus on speed, power, and accuracy. Complete with non-destructive editing, RAW processing, and end-to-end colour management, not to mention tools that operate in real time, there's no waiting to see how your work looks. The Windows version of Affinity Photo 1.5 matches the Mac release feature-for-feature. Users can expect it to go on sale across all platforms at a discount price of $39.99/ £29.99/ €39.99 until December 22. There's no subscription to sign up to, and Mac users who own the existing version can download the 1.5 update for free. By sharing the same file format on all platforms, users can easily switch between them both as individuals or as part of a professional project where colleagues work on different systems. The standard price of Affinity 1.5 is set at $49.99/ £39.99/ €49.99 complete with all the latest updates. As usual, there will be no ongoing subscription to sign up to.